…. And what are its chain reaction consequences… short, medium and long term? Austerity is a solution for the banks but a burder to rest of society. By definition austerity measures proposed by banks as a solution for the crisis are counterproductive on medium term. Essentially they emphasize cutting down on government spending and limiting indebtment by people. However…..
We should maybe forget about spending cuts …instead focus on inducing spending by quotas and introducing money circulation/saving regulations. At least this just another opinion of the author of a new controversial economic phylosopy, CAPITAL-less-ISM. soon to be published. 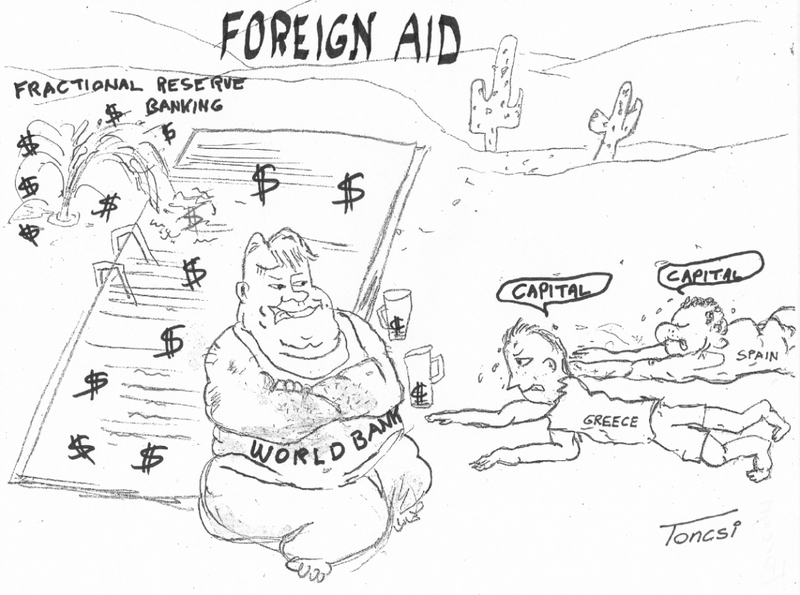 http://www.capital-less-ism.com/ In this dynamic model, the economy is viewed as a gigantic capital-as-information circulating system much the same way as the….. 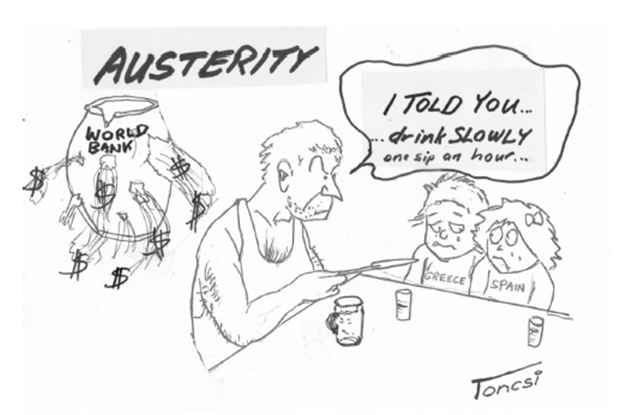 THE FALLACY OF THESE AUSTERITY MEASURES. This is just another opinion of the author of a new controversial economic phylosopy, CAPITAL-less-ISM. soon to be published. http://www.capital-less-ism.com/ In this dynamic model, the economy is viewed as a gigantic circulating financial…..
AND ABOUT HOW TO FREE OURSELVES FROM IT….. 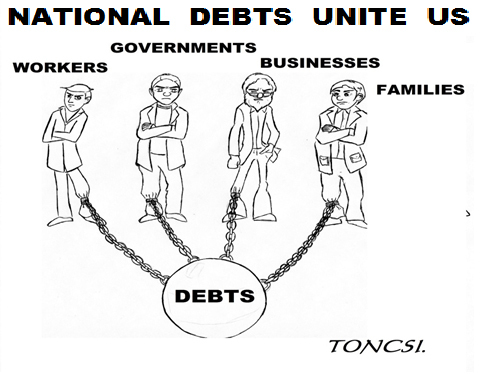 In our last article we discussed some legal grounds to justify the recalculations and the decrease of national debts. These four methods are just another opinion of the author of a new controversial economic phylosopy, CAPITAL-less-ISM. to be published soon. 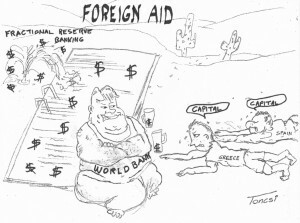 http://www.capital-less-ism.com/ In this dynamic model, the economy is viewed as a…..
Greece, Spain, Argentina and many other nations are hemorrhaging to a slow agonizing financial death …in trying to pay interest on their never repayable staggeringly huge national debt!… but what is national debt anyways? Legally, Greece should not default … but should interest payment on the national debt be a priority over obligation to assure the survival on the people? ….Morally, maybe the I.M.F. should do a little soul-searching also. 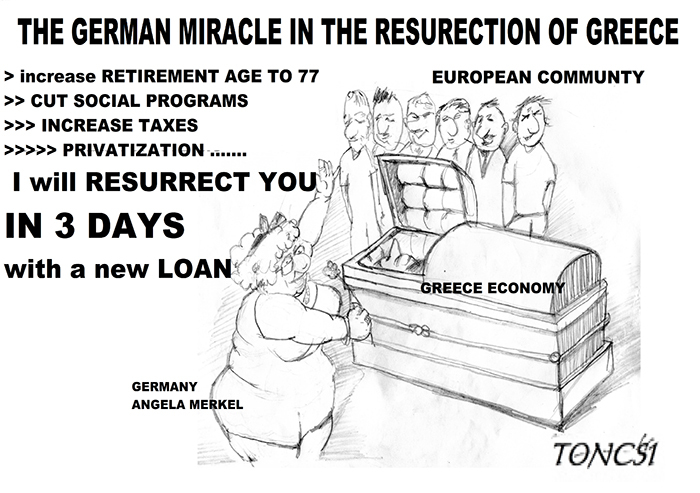 Maybe an elegant face saving solution could be worked out…..
#1 Should Greece pay back the capital ‘’lent’’ by the I.M.F. 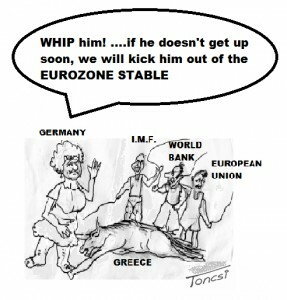 and the European Union… or not??!!!! 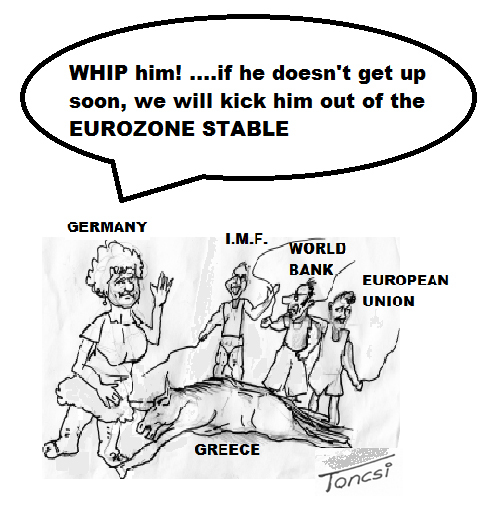 Legally, Greece should not default paying interest on its national debt , because it…..